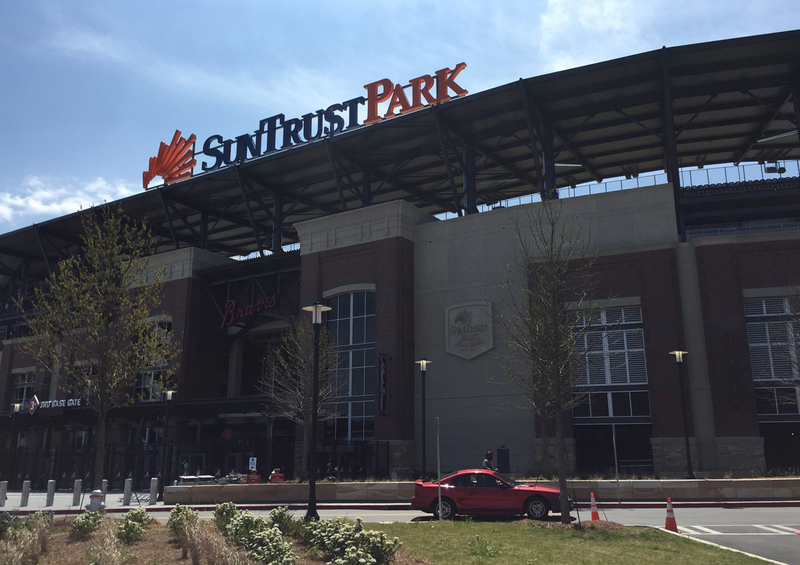 When the Atlanta Braves play their very first regular season home game at SunTrust Park on April 14 (against the San Diego Padres) fans will have a whole slew of new dining options to choose from. 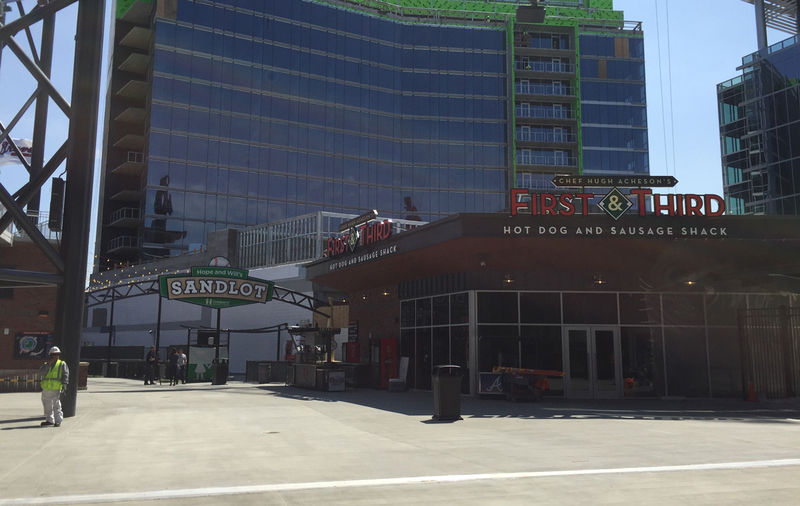 Beyond the typical hot dogs and burgers, the stadium will sell fancy french fries, catfish tacos, cannoli, even sushi, alongside local favorites like Fox Bros Bar-B-Que, Gu’s Dumplings, and Chick-fil-A (which will have a window just for milkshakes). 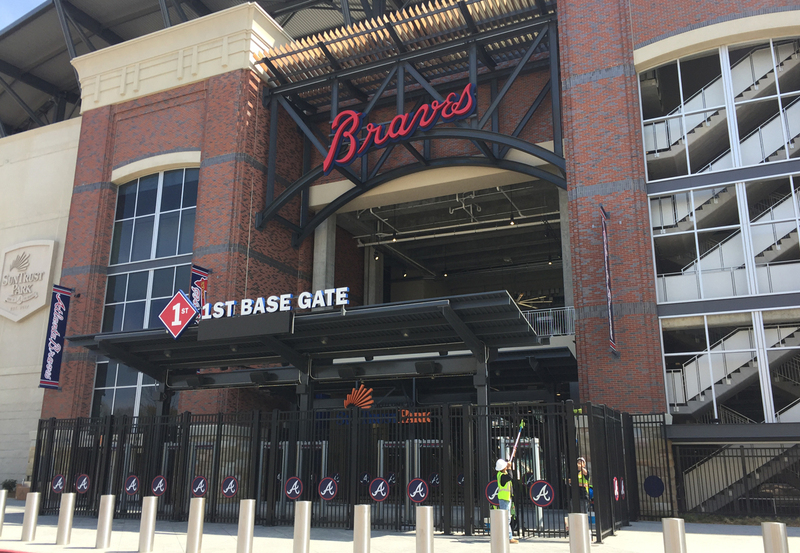 Not to mention all of the eats offered at the nearby Battery, which will boast a restaurant from Atlanta native chef Todd English, a second location of Ford Fry’s El Felix, a Wahlburgers, and more. 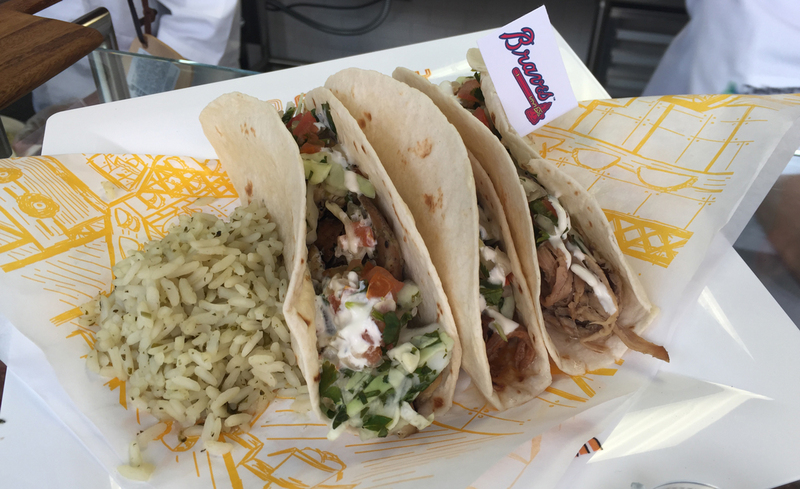 To encourage fans to sample popular dishes from around the Southeast, the Braves are introducing the Taste of Braves Country Passport. Get restaurants to stamp all 11 dishes listed in the booklet, and you can redeem it for a t-shirt. Some of the passport eats include a colossal fried pork chop covered in slaw and white barbecue sauce (Alabama), a Nashville hot chicken sandwich (Tennessee), and a pimento cheese patty melt (South Carolina). Last year distributor Delaware North made headlines when they introduced a number of outrageous dishes (like the Tater Tot Chop: two layers of tots pressed in a waffle iron and smothered with bacon and cheese) for Turner Field’s final season. 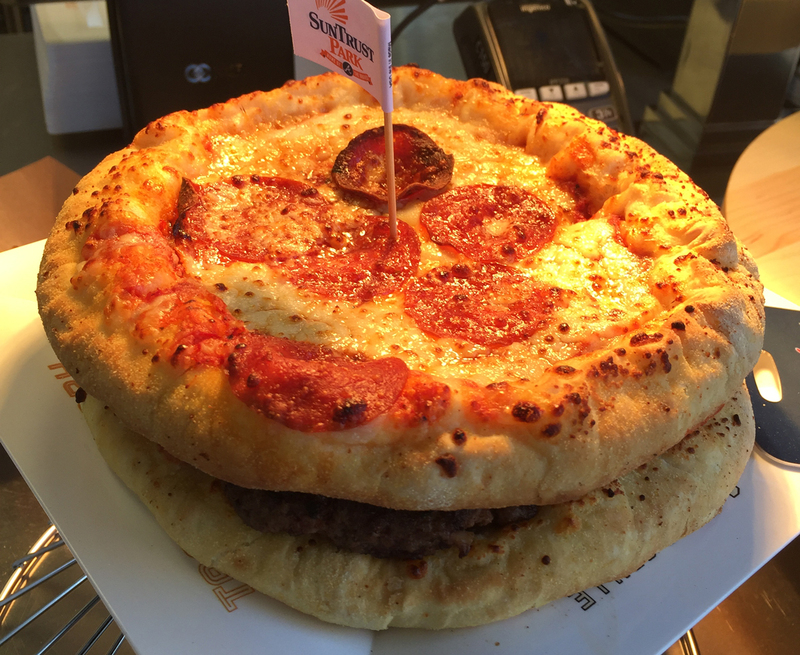 Unfortunately for iron-stomached fans, only one of those has made the jump to SunTrust Park: the Burgerizza, a cheeseburger smushed between two personal pizzas, which returns for the same price of $26. There is some good news, though. 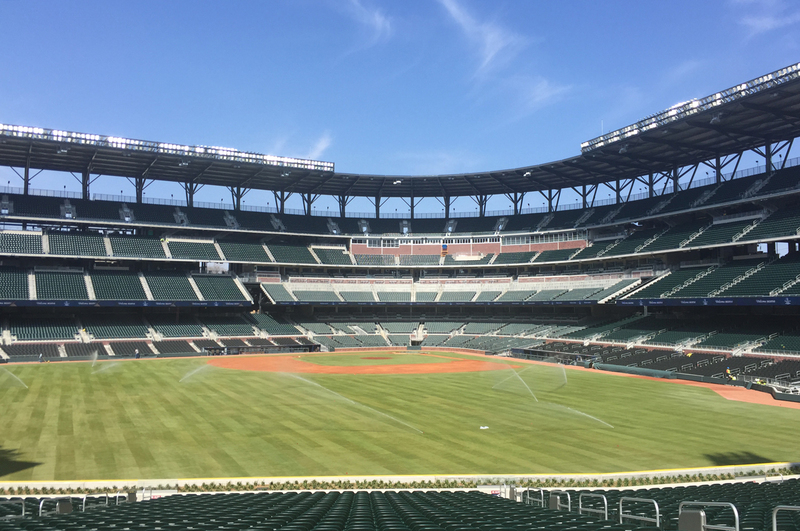 SunTrust has quickly backpedaled on a much-loathed decision to no longer allow outside food and drink in the park, announcing today that as long as your picnic fits inside a gallon Ziploc bag, it’s welcome. 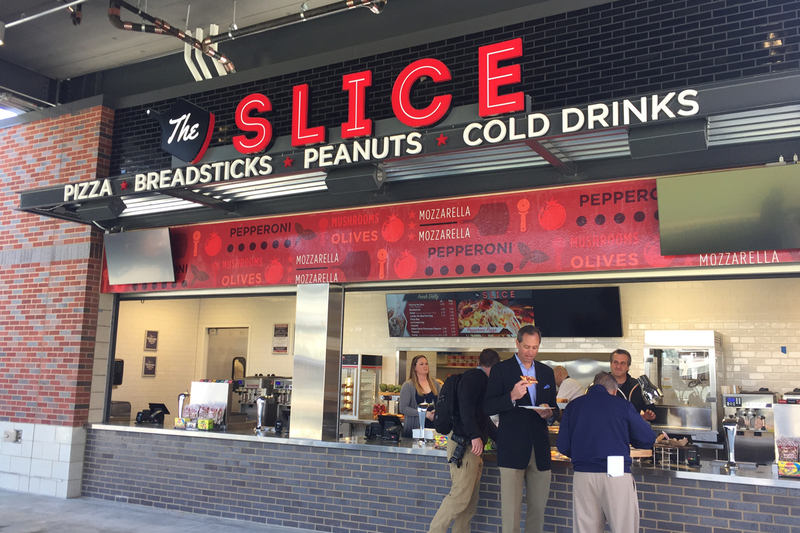 Don’t miss the perfectly flaky chocolate chip cannoli ($4) at this pizza stand, which also offers cheese and pepperoni slices ($7), garlicky breadsticks ($7), salad ($7), hot dogs ($6.50), and a pizza dog ($8.50). 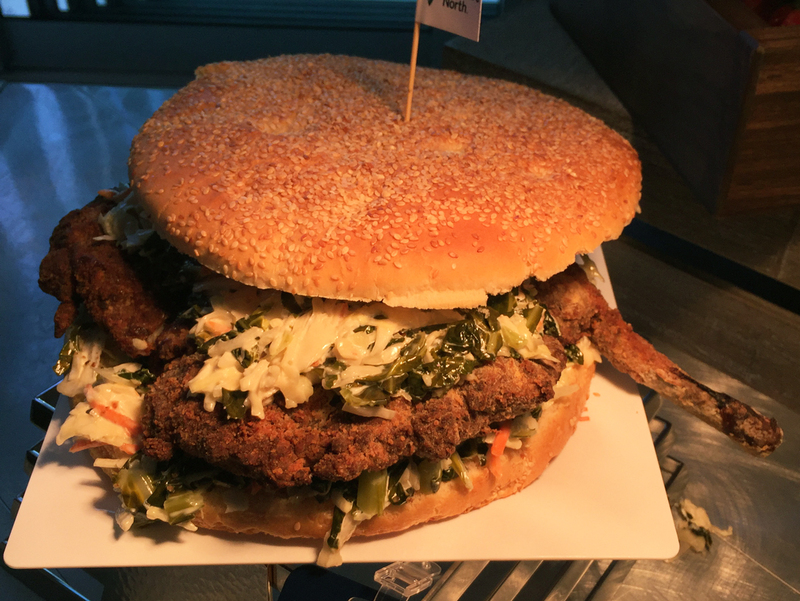 If you’re working on completing your Taste of Braves Country Passport, order Mississippi’s blackened catfish po’ boy taco ($12), topped with slaw and Comeback Sauce. 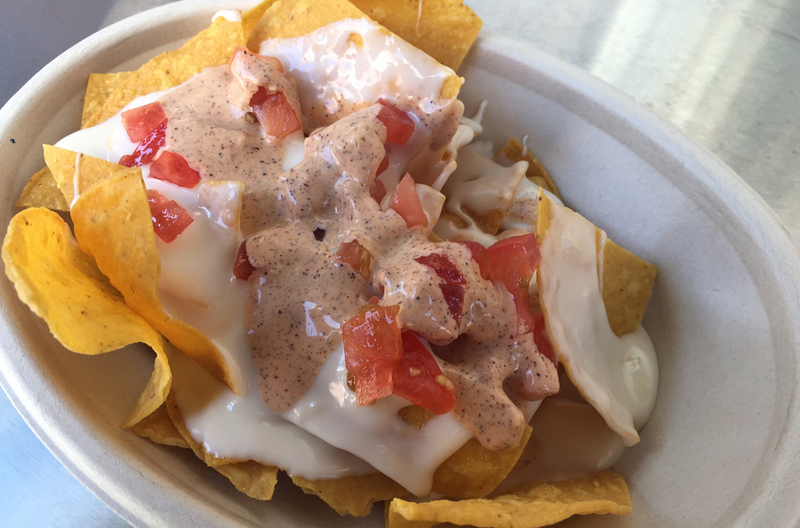 Rounding out options at this taco stand (located in section 151) are pork tacos with slaw and nachos topped with white queso, chili aioli, and tomatoes—a nice alternative to the classic neon orange cheese sauce. 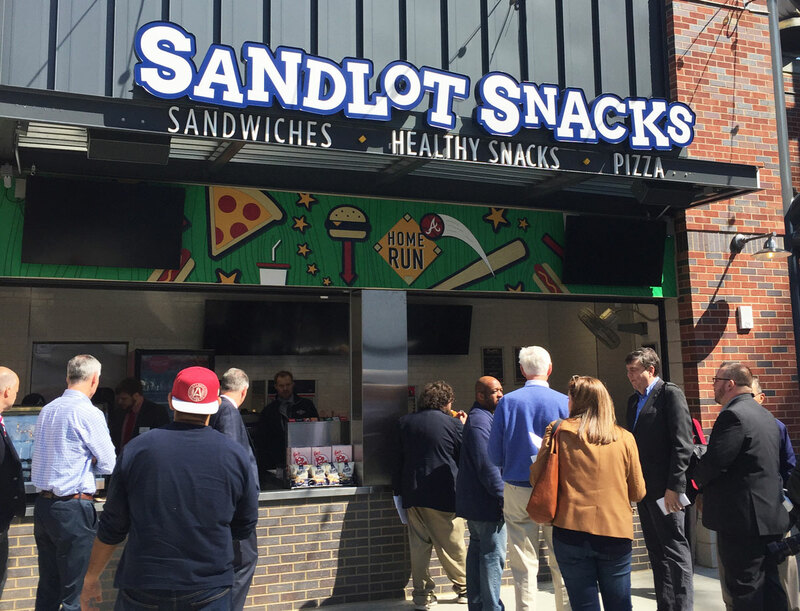 Essentially one giant convenience store in the middle of the ballpark, this shop boasts “healthy snacks” and “salads” on the signage. 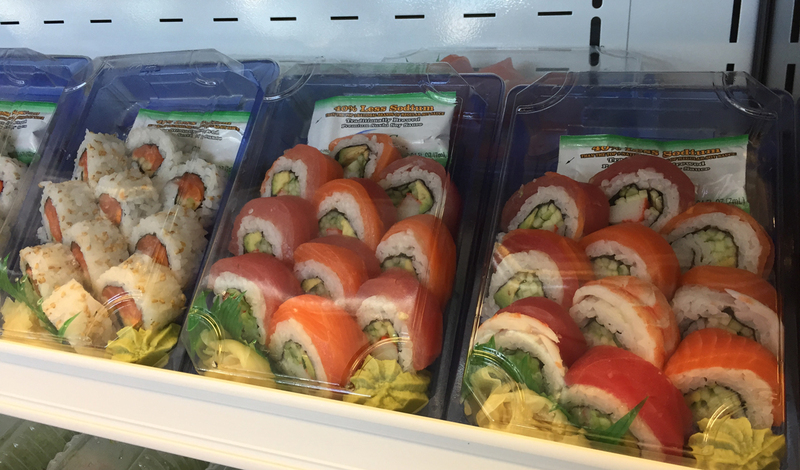 Indeed, you’ll find a selection of wraps ($7), fresh fruit and vegetables, salads ($7), and grab-and-go sushi ($10). A freezer holds pints of Mayfield ice cream, King of Pops, and frozen lemonade. 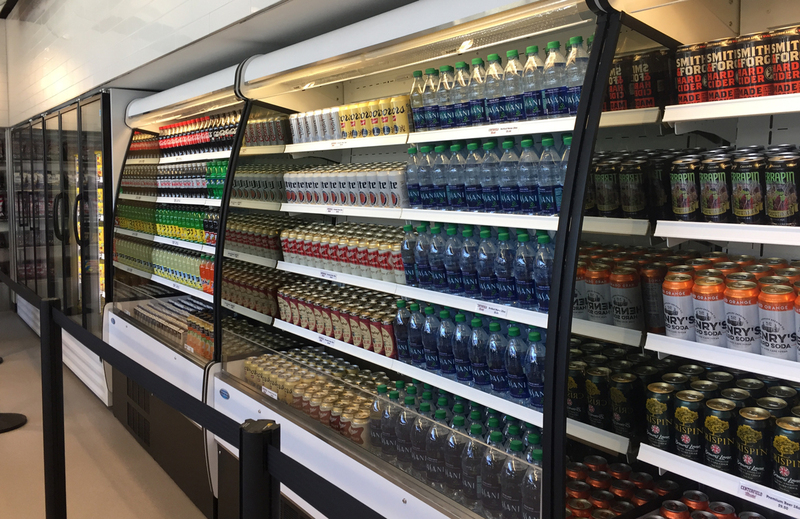 You’ll also find bottled soda and beer, and, curiously enough, a gluten-free hot dog. 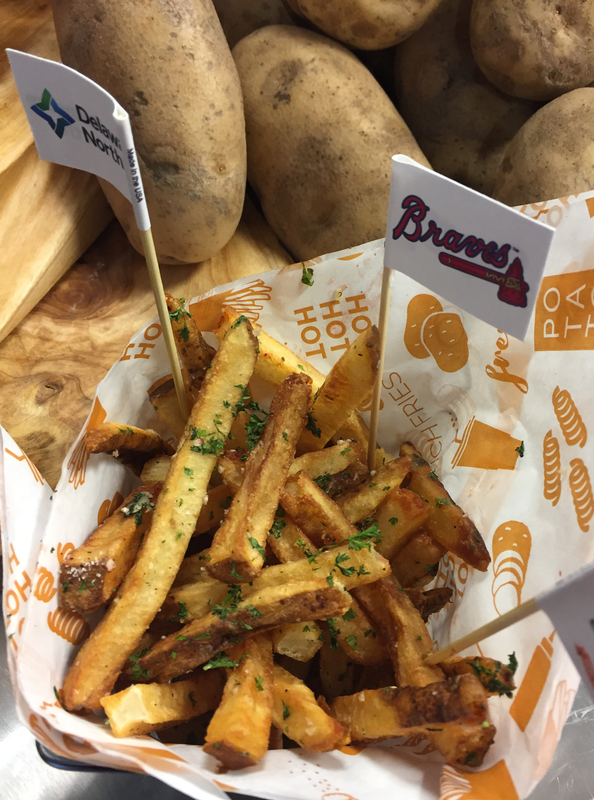 Fancy french fries have made their way to SunTrust Park—$10 buys you a souvenir bucket ($6 for a normal order), which you can garnish with a variety of Wise-brand flavor toppings, including an exclusive hot “Bravos” blend, onion and garlic, and barbecue. 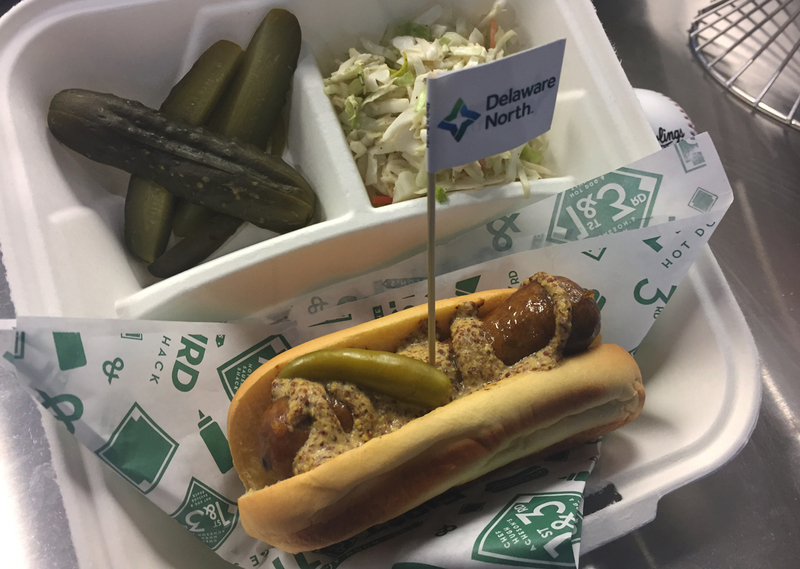 You can also order garlic or buffalo fries ($8.50 each) and a footlong corn dog ($6). 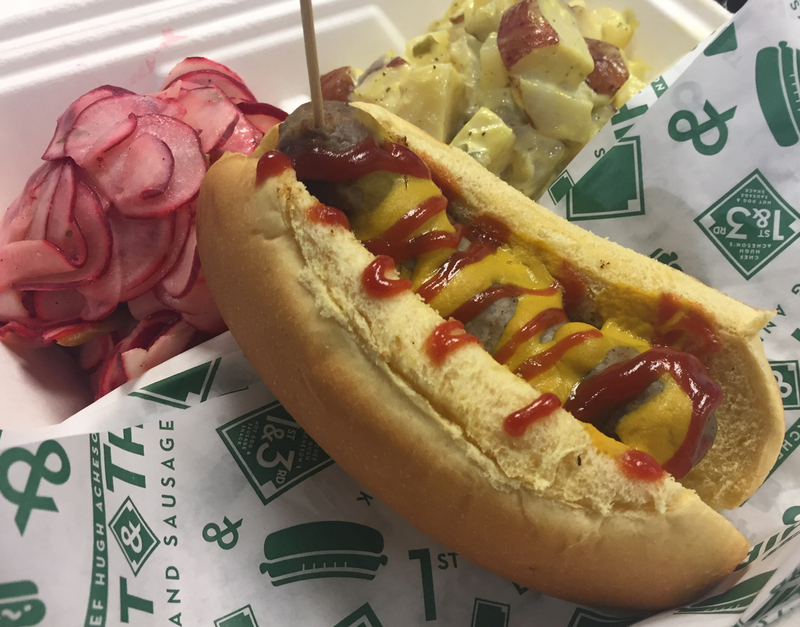 The Empire State South chef has his very own spot at SunTrust, a “hot dog and sausage shack” offering Polish Kielbasa, bratwurst, andouille, and Italian sausage (all $8 to $9 each or $11 to $12 for a meal with a side). A hearty list of “accompaniments” boasts toppings like sauerkraut, pickled red onions, cabbage kimchi, radish-serrano salad, and, of course, chili, and you can pair your dog with potato salad, coleslaw, pickles, or potato chips. 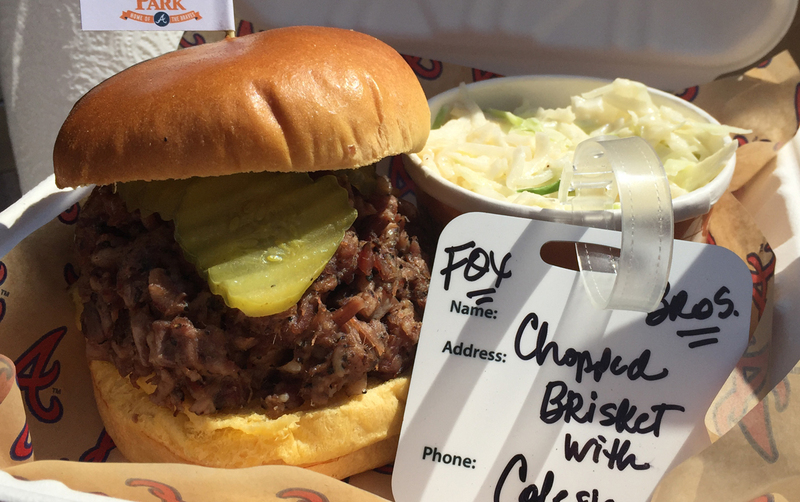 Chopped brisket sandwich from Fox Bros. 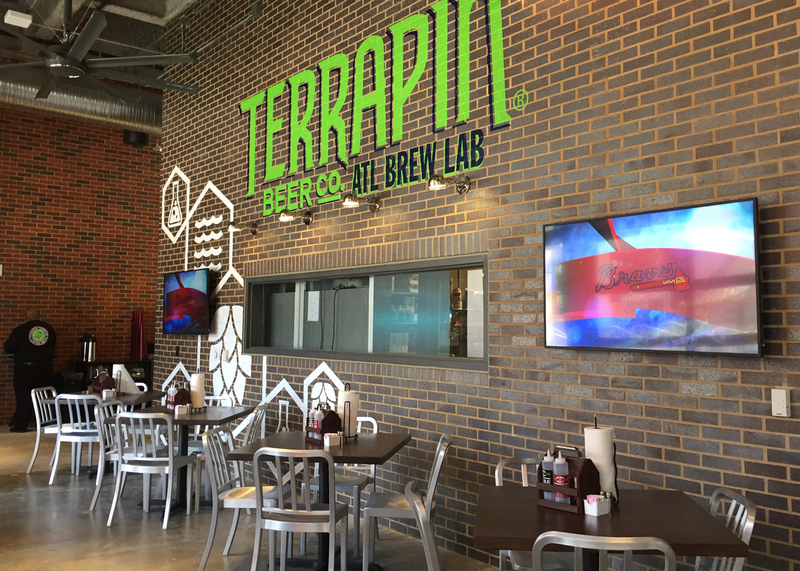 While the nearby Terrapin Taproom will offer a good selection of Fox Bros favorites like Frito pie and the Brunswick Stew-slathered Tomminator tots, the kiosk at section 150 keeps it simple with a smoked pork sandwich ($14.50) and a chopped brisket sandwich ($14). Each comes with a choice of cole slaw or baked beans. 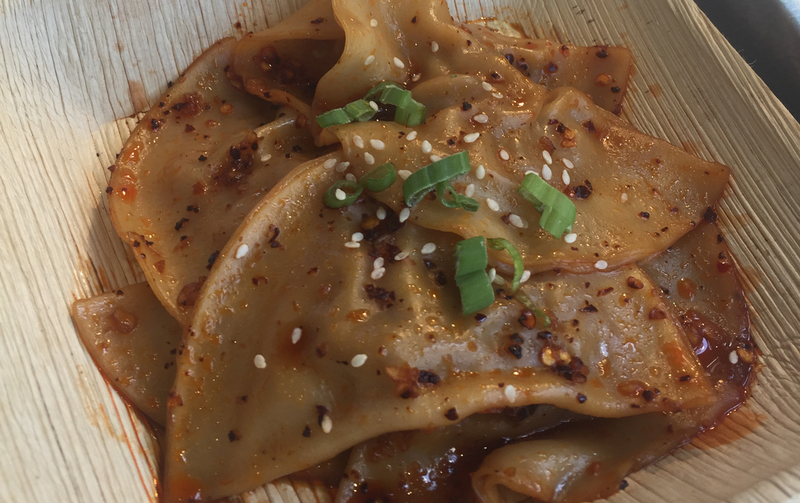 A kiosk offers the signature pork dumplings in Zong sauce ($9) and Chengdu noodles ($9), along with chicken pad thai noodles ($9). The Athens-based brewery will brew brand new beers on site at their new taproom, which serves food from Fox Bros Bar-B-Q. The Chopsecutioner is essentially a remake of their popular Hopsecutioner IPA, with one notable difference—it has a 5 percent AVB, making it a more suitable ballpark beer than the 7.3 percent original. 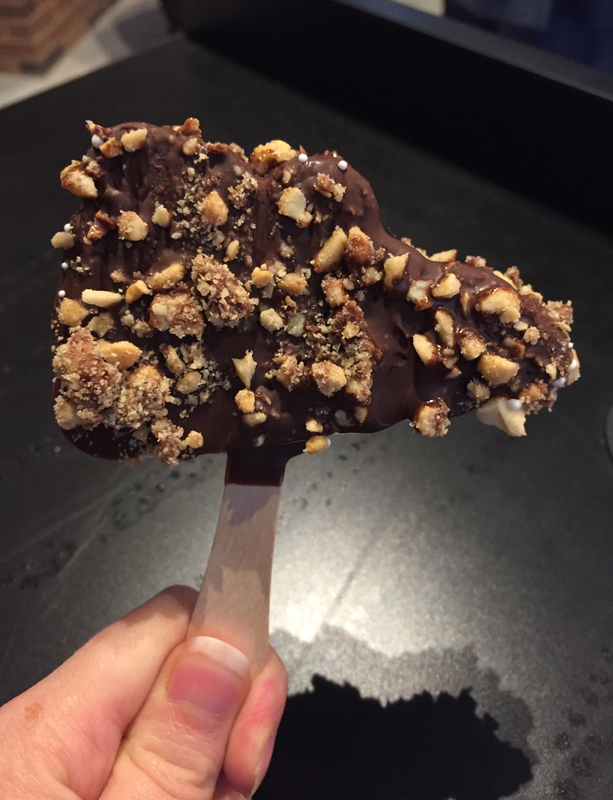 This treat—made with local High Road ice cream, dipped in chocolate, and coated with sugared peanuts—will be available at carts throughout the stadium. 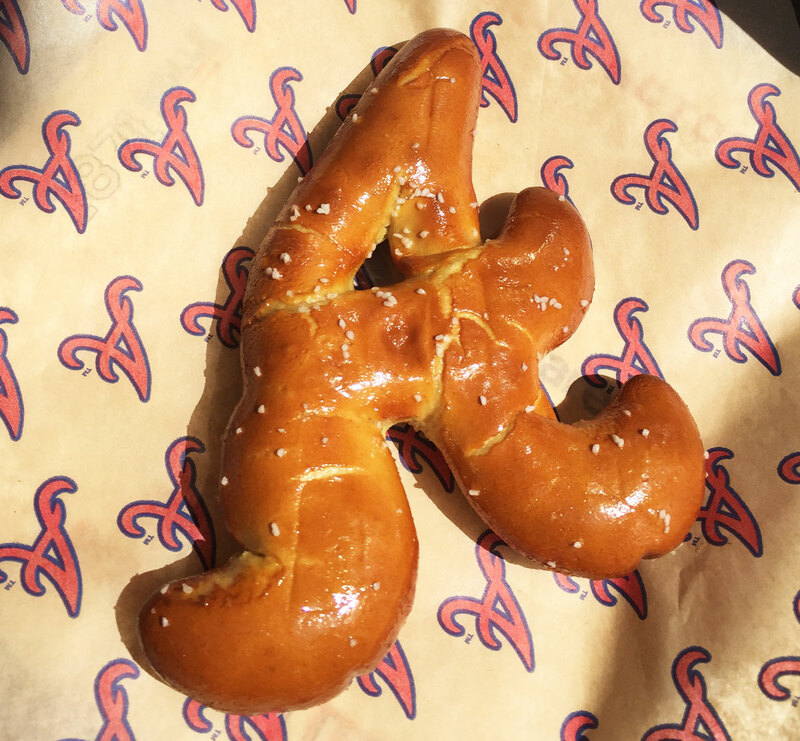 Get ready to eat, Braves fans. Opening Day will be here before you know it.